Pillow Cover - 22" x 22"
Inspired by Cozy Cotton Blanket, this snuggly pillow pairs the plush touch of chenille and the pure softness of cotton. Prewashing gives it a casual, rumpled look. Finished with an envelope closure and edged with blanket stitching. 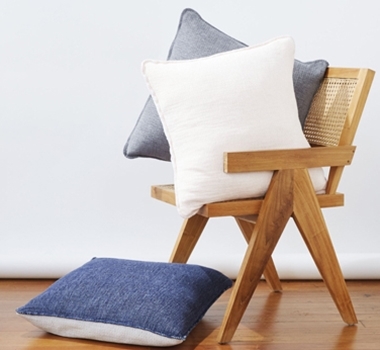 Natural, hypoallergenic kapok pillow insert sold separately.